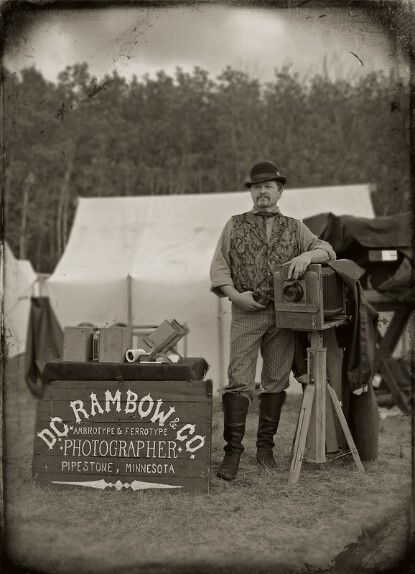 I am among a very few people in the United States who regularly use the authentic "Wet plate" photographic technique (which went out-of-style in the 1880's) to produce fine art ambrotypes and tintypes. "Dreamworks/Imagine Pictures feature "Cowboys and Aliens". (release date July 2011). Tintype photos for the motion picture "Sweetwater (release date May 2013). Tintype photos for the Fuzzy Door Productions motion picture "A Million Ways to Die in the West". (release date May 2014).